An AVALANCHE WARNING continues for the Western Uintas and the Manti-Skyline Plateau. If you're headed that way or know someone who is, please spread the word and have them check in with that area's forecast. Along a cool west-northwest flow, most areas picked up another 2-3" of 4% cold smoke overnight, pushing storm totals since Saturday night to 60"/5.75" in LCC, 70"/6.8" in BCC, and 45"/4.5" along the south end of the PC ridgeline. West-northwest winds are generally 15mph with gusts to 25. The highest, most exposed anemometers are averaging 35-40mph with gusts near 60. Temps are in the low single digits on either side of zero. Snow depths are 120-130" in the upper Cottonwoods and 70-80" along the PC ridge. Skiing and riding conditions are out of this world. People lives are changed by conditions like these. Overcast skies and light flurries should fade away by the afternoon toward partial clearing. Mountain temps will be in the single digits up high, the low teens at other elevations. Winds will be west-northwesterly blowing 15mph. I do have some concern that the winds will remain gusty along the highest peaks and ridgelines through early afternoon. A natural avalanche cycle occurred yesterday morning in upper Little Cottonwood and by the afternoon, tons of debris washed over the road with full avalanche control work. 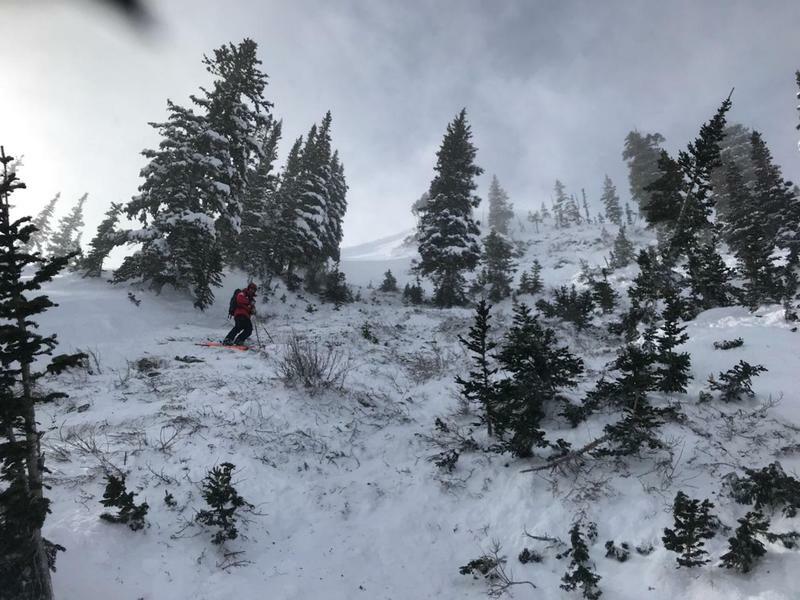 Ski areas control teams triggered numerous small and medium size avalanches with the largest noted along the southern end of the PC ridgeline on a northeast facing slope at 9700'. This avalanche looked to be 3-6' deep, stepping to the ground in some places. 2. Enough snow and wind have tipped the balance in some areas to produce avalanches down near the ground 3-6' deep. These will be much more prominent in terrain that has avalanched previously this winter and may require more of a significant trigger to snap the rubber band. The large slides along the Park City ridgeline on Tuesday, and the Little Water Peak slide on Monday (observation) highlight this problem. These slides were triggered from cornice falls and were on steep, wind-loaded slopes facing northeast. Tuesday's natural from South Monitor highlights how large these avalanches can be. (pc: Mark White). 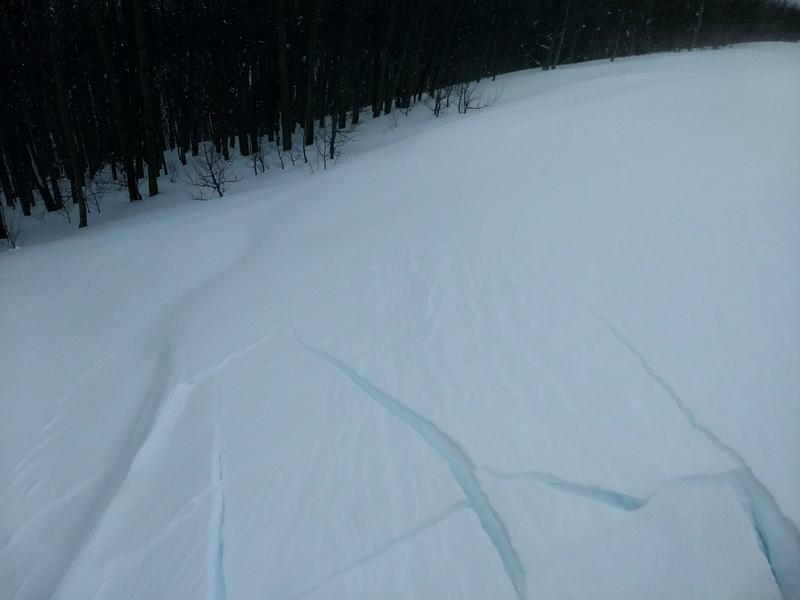 In contrast to the more shallowly buried weak layers, cracking and collapsing are unlikely to be present and snow tests may be highly variable. These are lower-probability high consequence. Lower density cold smoke will sluff with provocation and perhaps naturally on the steepest terrain of all aspects. 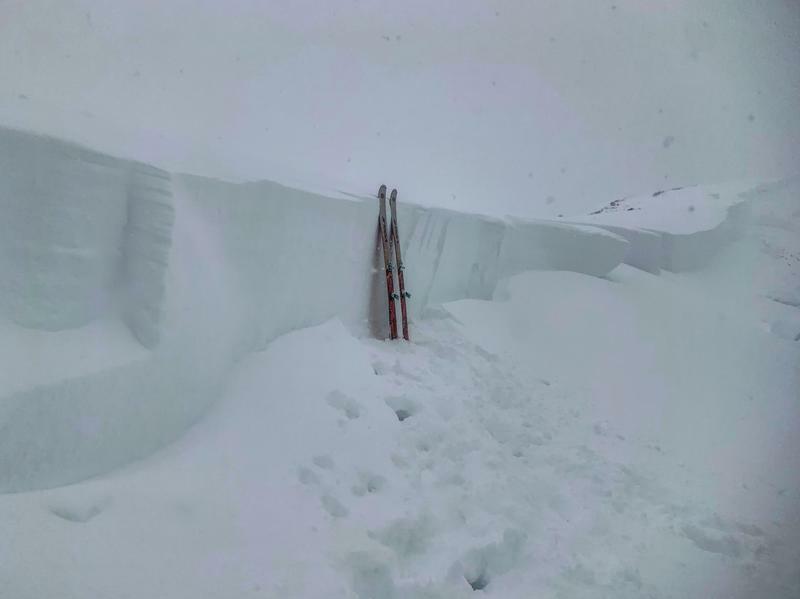 While more predictable in nature, loose snow avalanches can pack quite the punch and entrain lots of snow in steep, sustained and enclosed terrain (couloirs and gullies). Ski cuts are effective but it's key to continue from area of safety to area of safety, moving across the slope. Snowshoers should not attempt this technique. 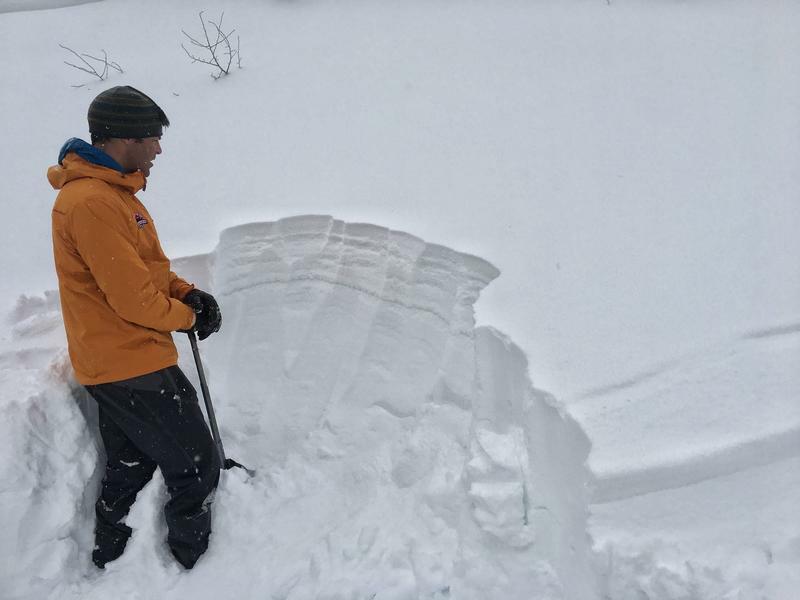 Mark Staples has a nice piece on the importance of quick snow pits in Backcountry magazine. INFO. The Wisdom of the Crowds applies directly to you and other backcountry skiers and riders, from the novice to the expert.